Mulberries do more than feed silk worms on mulberry trees. They can be bought dried or fresh. Soak the dried fruit in cold water and add a handful to teas. 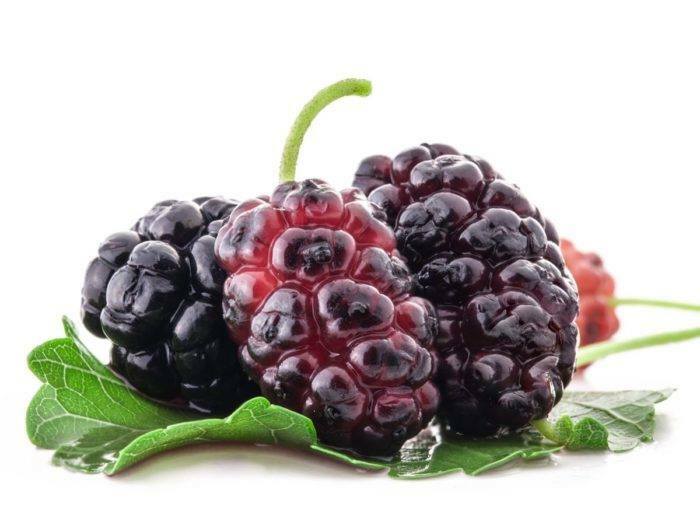 Mulberries improve vision, boost immunity and heart health. 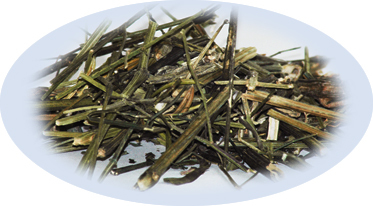 The leaves when brewed as a tea help improve spring allergies. Antioxidants in mulberry fruit help prevent certain cancers and complexion problems associated with aging. It is apple season. We love them sweet or tart, crisp and fresh. The pectin can rid the body of heavy metals and help prevent cancers. The fruit, high in fiber, is useful for liver cleansing. But how many of us know the benefits of apple leaf? Safflower, also called false saffron, is a plant belonging to the Aster family grown in Asia and Europe, North America and Australia. Safflower is a fast growing, thistle plant that grows to a height of between 60cm and 1.30m. In Egypt, safflower was already used to dye fabrics around 3500 BC. The petals containing red carthamin and yellow carthamidin are often referred to as “saffron substitute.” The oil from the seeds was used in the antiquity for making ointments. In the 13th century, the Romans brought the safflower to Central Europe, where the flowers were used for coloring foods, but also for medicinal purposes. At the beginning of the 20th century, the plant was completely replaced as a dye by chemicals. The cooking oil has a high content of polyunsaturated linoleic acid and vitamin E, but oxygenates quickly and should be refrigerated immediately. Medical use of safflower tea: The flower-leaves yield a very tasty tea with a fruity-sweet flavor. 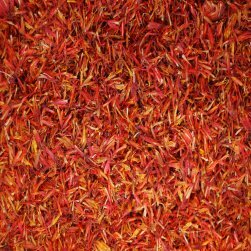 Safflower petals is well known in Chinese traditional medicine infused as a tea. Clinical studies have shown effects on leukemia, hepatitis and migraines. Safflower flowers have a stimulating effect on the heart and circulation. They also possess antipyretic (cooling) and analgesic features, and they are said to have aphrodisiac properties. In Thailand, in this context, a tea called “Love Potion No. 1″ is offered, whose main component are the flowers of the safflower. European folk medicine used safflower flowers as a treatment of menstrual and climacteric conditions, indigestion, jaundice and measles, wounds, inflammation and joint pain. Although safflower tea is given to babies for flatulence, the tea is not recommended during pregnancy. 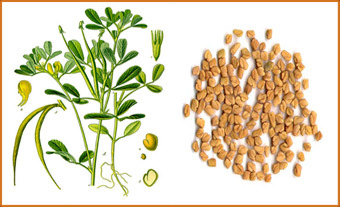 Have you enjoyed drinking spicy fenugreek tea to help clear lung congestion, improve breathing and increase energy? Did you know it is an excellent facial, scalp and hair treatment? It exfoliates and brightens skin and reduces signs of aging. It reduces hair loss and baldness. Add 1/4 tsp fenugreek powder to 1 tsp coconut oil and apply it to skin and scalp for an hour or overnight. The Chaga Mushroom has been used for centuries for its amazing effects on overall good health, immunity and can be helpful in fighting cancer cells. This Long Kept Secret of Eastern Europe is now available to you. Using the Chaga Nuggets you can brew a wonderfully flavorful coffee-like beverage that is an excellent alternative to the caffeine drinks. The brew is so flavorful, and unlike most medicinal fungi it doesn’t have that characteristic “mushroom” flavor. Instead the taste is somewhere between mild Coffee and Chocolate, plus maple/vanilla with a hint of wintergreen or mint! It is a perfect base for blended drinks, such as green smoothies and herbal teas. 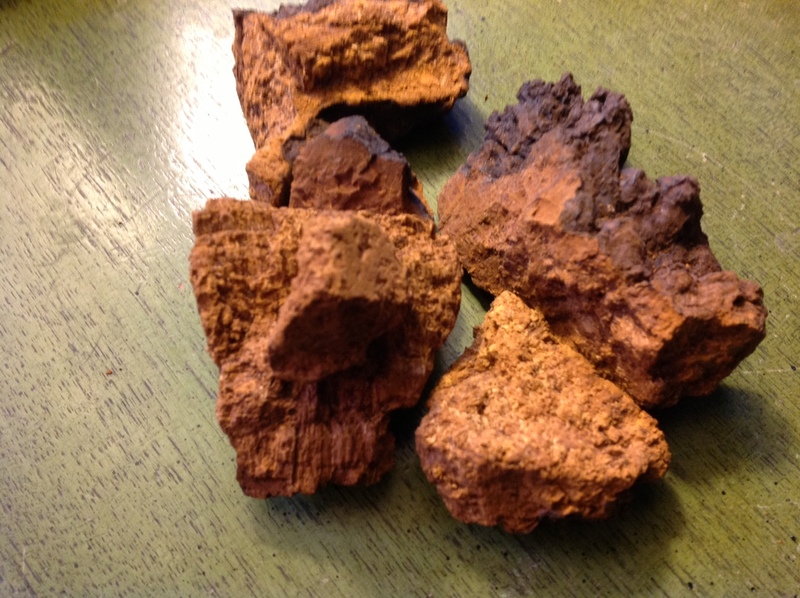 A handful of Chaga nuggets can be reused, utilizing a simple crock-pot, for up to 6-7 consecutive days, and delivers about 60-75 cups of a wonderful healing elixir, with which coffee cannot be even compared. Try it today! Sip your way into happy, pain-free life and the functional longevity! Please visit www.royalchaga.ca for more info and Research articles. 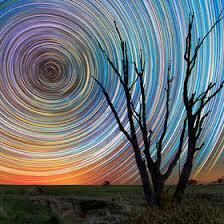 Spend the winter months replenishing health and beauty stressed-out by work, worry and pollution. Colder weather and darker shorter days offer us the opportunity to rest, regroup and build Yin – fluids and blood that result in stronger hair and nails, radiant refreshed skin and quieter nerves. 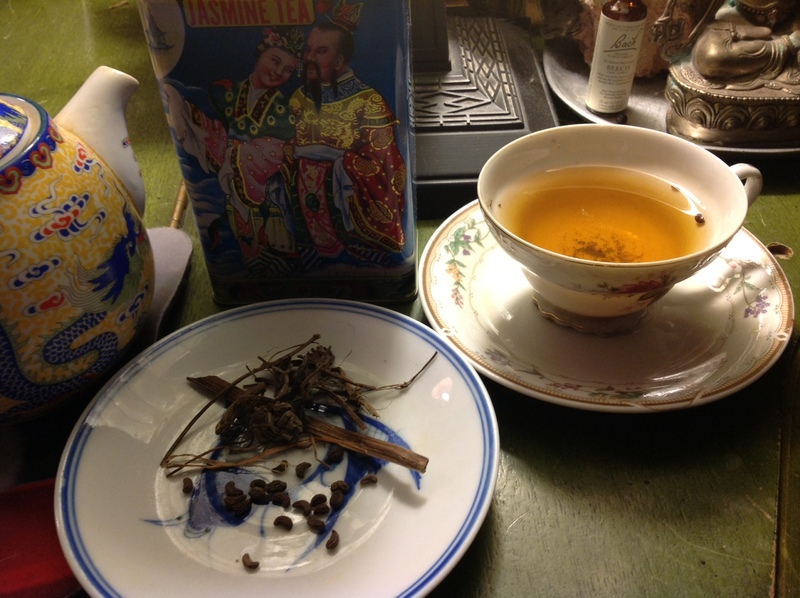 To jasmine tea add glossy privet seeds (nu zhen zi) a liver and heart tonic recommended for premature grey hair and bone weakness along with eclipta alba (bringaraj, false daisy) twigs to replenish liver health and hair growth. These Asian blood- and fluid-enhancing tonics are not “cloying” which means they increase fluids like a fruit but are not sweet, sticky. That makes them perfect for diabetes, thinning hair, acne and dryness from radiator heat, fever, stress, and pollution. This winter stay in, stay warm and drink this beauty tea to support jing (adrenal, liver and kidney vitality, hormone balance and longevity). For Spring think: Green, crisp, fresh, bitter, pungent, and sour — all flavors that deep-cleanse and invigorate body and mind. Green tea, lower in uric acid than black teas, protects immunity against infections and cancers. Drink tea, splash green tea on sunburn to reduce inflammation and steam vegetables with green tea. Alfalfa is a perfect nutritional supplement and weight loss food. Take capsules with meals to speed digestion and elimination. 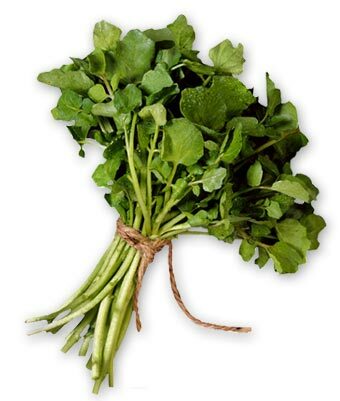 Watercress is a blood- and liver- cleanser that improves weight loss, breathing, and mood. Add fresh watercress to salads. Do you have a vampire in your life? Does someone drain you physical, mentally and emotionally? Stay strong, protect yourself with natural medicines. Here is a fun, informative podcast Letha did with the number one psychic phenomena website NightWatch. Take steps daily to help eliminate impurities, pollution, and stress that damage your health. Here are simple foods and herbs that can help. 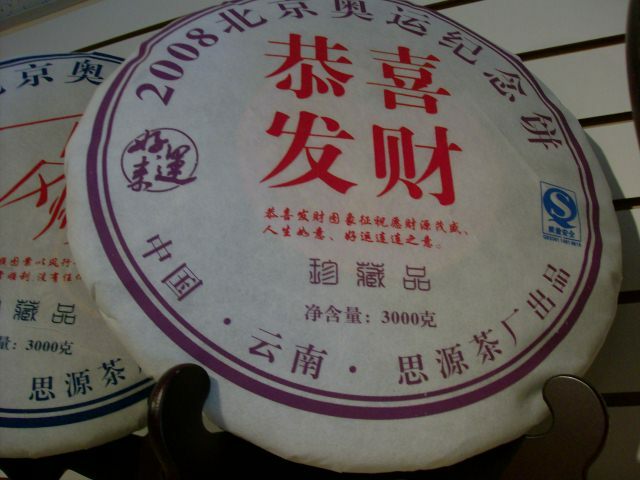 The photo above is Pu Erh tea sold in Chinese herb and food markets as a large round dried tea disc. Take a pinch of the dried tea, rinse it with boiling water in your tea pot. That awakens the flavor and warms your teapot. Then add water to steep the tea for 5 – 10 minutes.